Spring is just around the corner. Actually, in Phoenix it’s already getting pretty hot out which makes me a little sad. 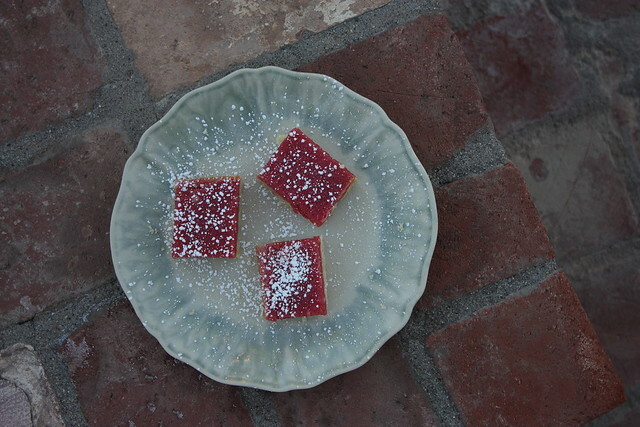 But rather than getting down because the heat is already upon us, I whipped up some raspberry lemonade bars using fresh lemons from my parent’s back yard. Deb from Smitten Kitchen supplied me with the recipe and I couldn’t be happier with the way they turned out. 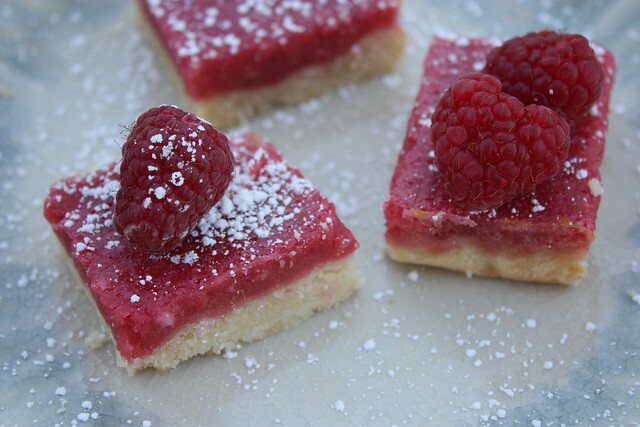 Lemon bars are a long-time favorite of mine and the addition of raspberry is amazing. I took a little break from blogging these past few weeks. I was promoted at work (woohoo!) so my workload and hours have changed and I’ve been doing my best to adjust. I’m officially a full-time working gal and I’m excited about this chapter in life. It was less than a year ago that I was in school and now I’m hiring an assistant and have the word “director” in my job title. I’ve been feeling satisfied with the fact that hard work does, in fact, pay off. This is the first time in my life where I’ve truly seen a direct correlation between the amount of work I put in and the pay-off that comes from it. I’m rambling a bit but I wanted to share where I’ve been and where I’m headed. I’ve got some simple and yummy recipes to bring you over the next few weeks and I’m planning some really fun photoshoots so I can get some fashion back on the blog ASAP! Enough about me. How are all of you!? Congrats on the full-time and getting an assistant! Amazing.